Experts say debit cards have outstripped credit cards and checks for some years now. Debit cards continue to play a bigger part in families finances. I guess because of the bad economy, credit card usage has recently seen bad days. Folks were carrying debt in large quantities that they were, at some point, unable to pay. Sometimes, they could not pay even the minimum. Their budgeting efforts would go haywire with carrying debt. Because of the credit card bad usage, their budget seemed to work against their personal finance. Writing checks is already not very popular. The big choices remaining are cash or debit card. Folks hate to carry large quantity of cash. The only choice then is debit cards. However, that may not be the best idea. Those debit cards might be offering them fewer rewards and carrying more risks than they realize. Like credit cards, you have to be very careful to use debit cards. In 2009, one in three non-cash transactions was done with a debit card, the Federal Reserve reported. Folks have been giving up credit cards. In 2009, another 8 million consumers have given up their credit cards. The data for 2010 are not in yet. But experts suggest million others probably will get rid of credit cards. That’s understandable for folks who cannot use their credit cards wisely to their own advantage. Because of their abuse and just plain bad behavior with credit, many folks have accrued enormous debts. The Federal Reserve Board proposed rules on Wednesday and posted on its website that may slash debit-card interchange fees by 90 percent. That makes debit cards less profitable to the banks that issue them. To compensate for the lost profit, banks may eliminate rewards on debit cards and charge some customers for using them, increase fees on deposit accounts and promote other products that aren’t covered by the regulations, such as charge cards that require consumers to pay their bills in full each month. They don’t have the same legal authority as credit card protections even though banks offer promises of “zero liability” to debit card holder. But it may turn out to be just promises. Most banks do back their debit cards in the event of fraud. The bigger issue is the time it takes to resolve. During fraud investigation that can take weeks if not months, you are not likely to have access to your funds. Because you have not paid your monthly credit card bill yet, any dispute being resolved will not tie down your funds. Payment has already been made on your debit card if you have any dispute with your checking account because of the debit. Banks have previously offered rewards programs with debit cards. They would either go away in their entirety or be scaled back in terms of richness. It’s basically your checking account. It’s between you and the bank. The outside world, the credit-score-keeping agencies “don’t know nothing” about it. If you overdraw, the bank hits you with a hefty fees. Prepaid cards are gaining users. They may not carry the risks of a card linked to your checking account, but they effectively require you to spend the money even before you go shopping. Folks have the tendency and seem to be in a big hurry to deplete the money on these cards. If you have the discipline to pay off your bill in full every month before the due date, then there is nothing like a credit card. Most issuers give a 3-week grace period to pay it back. That’s interest free loan for at least 3 full weeks. Credit cards are better than debit cards if you have discipline handling your finances. They are good for improving your credit score. 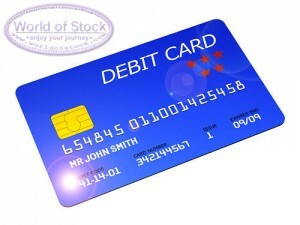 Debit cards are better than carrying cash but you must be very careful using them.